As Yahoo continues to “sunset” a number of its web properties it is really an end of an era for those of us that have been on the web since the time before Google. Yes there was such a time, and there were other search engines. AltaVista was an early pioneer in the web search space, making its debut back in 1995 when most people still used the human edited Yahoo! directory as the main way to find the websites they wanted to visit. 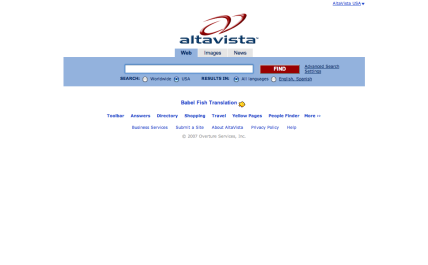 AltaVista had a minimal interface in contrast to the cluttered homepages of Yahoo, Excite, and Lycos and had an advanced crawling system that indexed more of the web than anyone else at the time. By 1997 AltaVista was receiving more than 80 million hits per day, but then Google Google came and effectively stole their lunch – launching in 1998, and dominating the space just a few short years later. 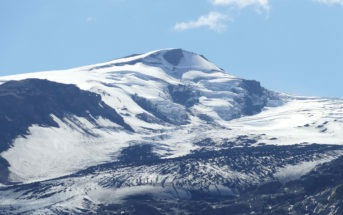 Over the years AltaVista was bought and sold by a number of companies, eventually coming under the paid search umbrella of Overture Services in 2003. Overture was then snapped up by Yahoo! later that year for £1.7 billion, and gained the AltaVista search technology at the same time. Under Overture or Yahoo! ownership, AltaVista could and should have evolved into a true competitor to Google in the search space, powering the huge volume of searches still performed on Yahoo.com, but as with many companies bought by Yahoo! at the time, it stagnated. Eventually, AltaVista search was even replaced within Yahoo with Microsoft’s Bing search as the two companies combined to try to reduce Google’s dominance in the sector. After years of shut down rumours, it was current CEO marissa Mayer who made the decision to trim the fat at Yahoo and sunset a number of services which included AltaVista this June, with the Altavsita.com now redirecting to the Yahoo homepage from today. AltaVista will be remembered as an early pioneer of the pre-Google web 1.0, but more importantly it will be remembered as an example of the rapid pace of change online, and how companies continually need to evolve to stay relevant. analysis I would phone the undertaker.